The Metz Mecablitz M400 has been officially released for Canon, Nikon, Micro Four Thirds, Pentax, Sony and Fujifilm. This shoe-mount TTL flash has a very compact design, making it well-suited for use with smaller mirrorless cameras. It was first announced at Photokina last year. It is powered by four AA batteries. The Metz M400 boasts a tilting, swivelling head with 24–105mm zoom, a guide number of 40 (Iso-100, 105mm) and wireless TTL master and slave functionality for some cameras. 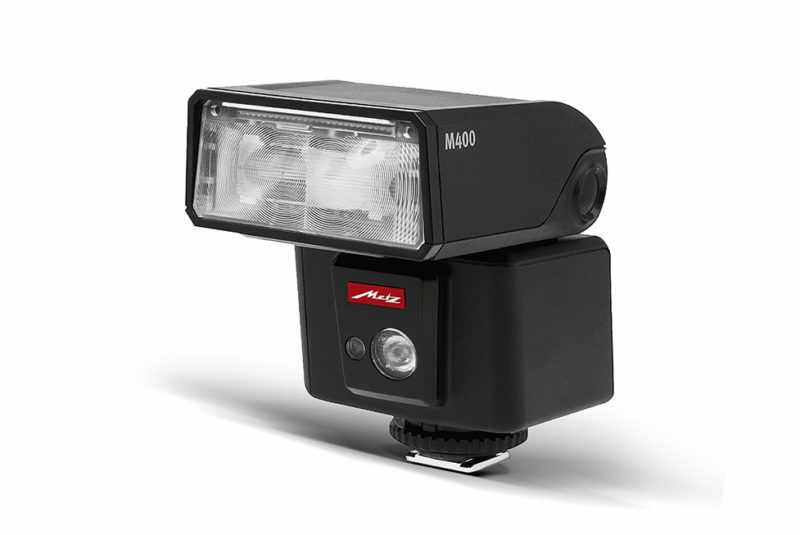 Like many flashes these days, the M400 wants to be a video light too, so there is a ‘high performance’ LED video light built in. It puts out 100 lux at 1 metre. All versions of the Metz M400 are available now for £121.99 including VAT from Intro2020 dealers. In the United States, you can find it for $279.99 at Adorama and B&H Photo.